power lines along a road to pak128, it is possible? Topic: power lines along a road to pak128, it is possible? observe that even with the change, the factory continues to receive energy normally. it would be very interesting, since we could use the power lines on roads to transport the energy to a factory in the city. Re: power lines along a road to pak128, it is possible? Another idea could be to use a graphic like manhole covers to make it look like under-road cables, if you don't need to go into fully underground cables. 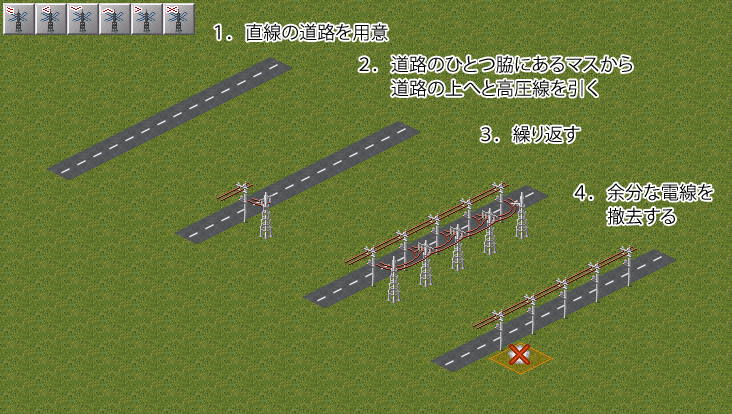 The idea of having powerlines along roads is interesting but the process described here looks like using a bug. 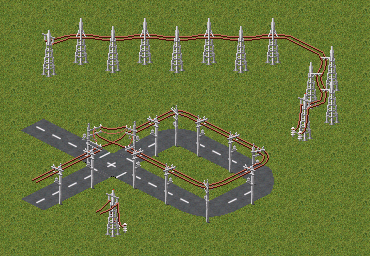 Furthermore powerlines found along roads are usually of a lower voltage than regular powerlines. This could be an extension request for the game itself. Do you mean supplying electricity to houses and the like? While a nice idea, I don't see it contributing positively to game play at all (they should either be everywhere or nowhere). sheldon_cooper: You could paint them yourself and see how being a painter is. Taking the Original graphics and adapting them slightly shouldn't be too difficult. No, I just meant having powerlines that could be built on roads, but they would still feed only industries (indeed that would not be so usefull). wanted to do this addons for me would be helpful, as have many companies in the city, but unfortunately do not know addons, so I'm waiting for a cool person who provides to make these addons. I have many industries located in the city, which energy the need to for better production. The industrial increases the production when there is electrical power being supplied, increasing productivity and not letting missing products to be transported (or at least lessens this), Thus the company was not going to have affected financial profit negatively. Please only make one post in a row.